The Rosalie Award was established to recognize Canadian women who have blazed new trails in radio. Rosalie Award recipients are women who are successful in the radio industry and are seen as leaders, mentors, and people making a difference in our business. There are usually two high-profile events where the Rosalie Award is presented: an exclusive invitational cocktail party as well as an award ceremony on the stage of Canadian music Week’s Gala event with Canada’s broadcast industry. 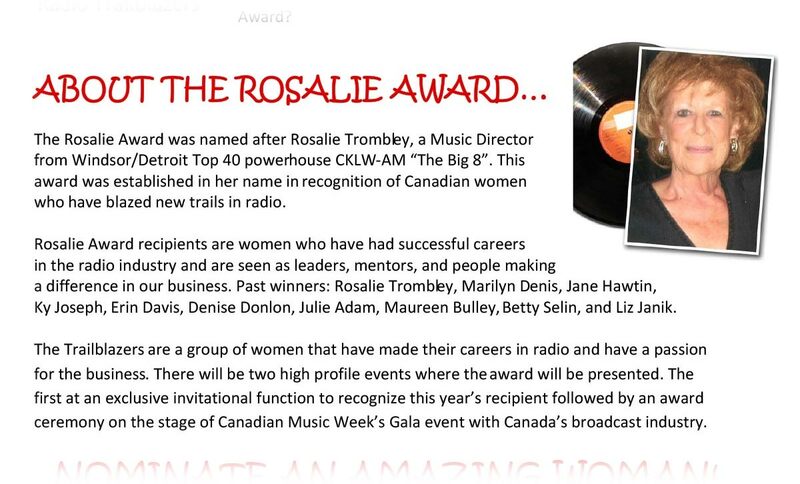 The Rosalie Award is named in honour of Rosalie Trombley, renowned Music Director at Windsor-Detroit Top 40 powerhouse CKLW-AM “The Big 8″, and the first-ever recipient of the Rosalie Award in 2005. The award recognizes Canadian women who have blazed new trails in radio. 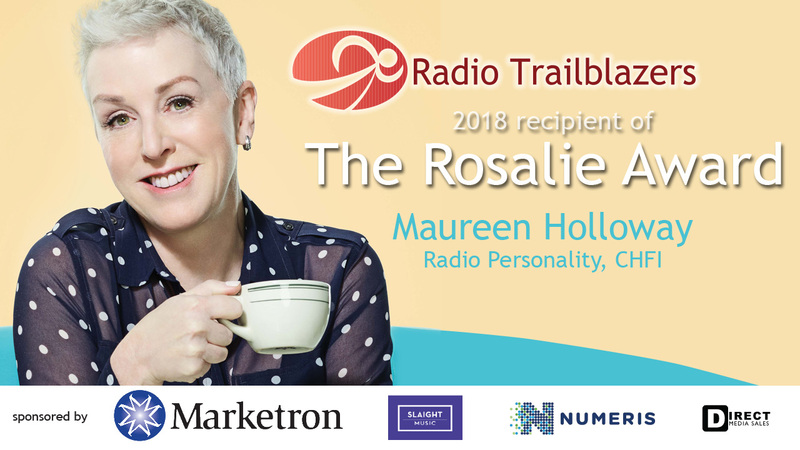 Rosalie Award recipients are women who have had successful careers in the radio industry and are seen as leaders, mentors, and people making a difference in our business. Please visit our Past Winners page to learn about our distinguished Rosalie Award recipients. Find out more about the Rosalie Award.